My very first memory of Star Wars was wandering around Disneyland’s Tomorrowland at night along with my mom, dad, sister and great aunt. I remember how magical it was, and for some reason I remember this over any of our daytime antics in the park. I remember the Electric Light Parade, fiber optic toys, and all the spacey goodness of that night. Perhaps it hinted towards my future love of nightlife and electronic music? Who knows…but my love for anything science fiction still lives on, and the thought of Star Wars is still quite nostalgic to me…along with Star Trek and the old, original WAM POW BAM Batman series. When I was in high school, Star Wars Episode I came out, and I obsessively saw it 7 times with my pals, no matter how much so many of my “cooler” friends said it sucked. I’ve never been much of a movie buff, and I get super antsy and have always had a tough time sitting through movies and most TV shows. Still to this day, there aren’t many things on TV or on the big screen that can capture my attention for very long. Star Wars has always captured my heart, and I’m not the biggest nerd, so no matter what criticism anyone ever has to say for any of the new movies that come out, I’m pretty much always game! With the next movie, Star Wars: The Force Awakens in theaters in December, retailers everywhere are picking up the hype with unique and fun merchandise which currently are flying off the shelves! I had actually forgotten about the new movie coming out (I know, how COULD I??) until I started to notice all of the themed merch flooding my inbox. IGN, as well as many other major news outlets, covered Disney’s live unboxing event on Youtube earlier this month, which revealed an abundance of new, shiny goodies for millions of drooling fans (links are at the footer of this post). I also saw several sales at Touch of Modern and even a really neat Etsy shop for various items, so I figured for a fun Friday post, I’d make a collection of my favorite bits. I LOVE the LED Lamps at Touch of Modern, as they remind me of my Tomorrowland adventures as a child, and perhaps the most exciting of them all here is the BB-8 app-controlled droid by Sphero…a friend of mine got one of her own and I was feeling a little green envy popping up over her Facebook posts! 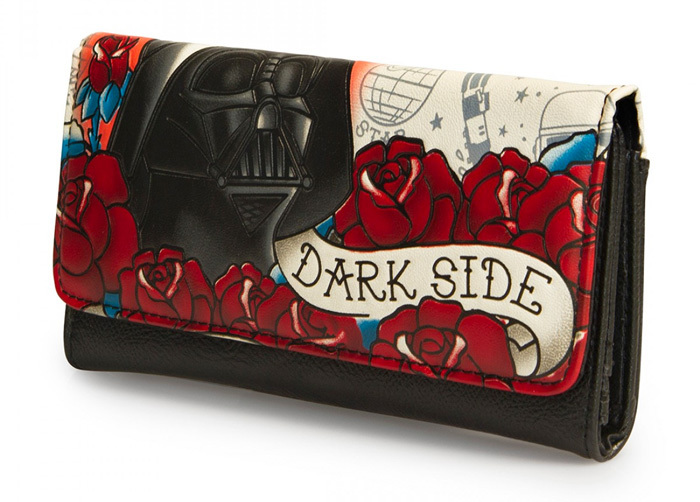 I’m totally coveting the Darth Vader Tattoo Wallet by Loungefly above, and I always love vintage wall art, so the work by Lynx Collection on Etsy is super cool. The X-Wing Starfighter and Millennium Falcon drones look like a lot of fun to play with as well! The cool thing about Star Wars is that it brings out the kids in all of us…and lets the nostalgia flow! So I really hate posting items that I know have been out of stock for awhile, but that’s what I have my “Wish List” category for anyway! eBay is like a best friend sometimes…you never know what it’s going to bring around! It wasn’t long ago that I craved another beautiful piece from Rag & Bone, the Goetz Print Legging, and eBay just made that happen for possibly one of my favorite blog posts! Although I have yet to find a Rag & Bone jean or legging that fits my curvier shape without a belt (they tend to slide down on me a bit), I still love the brand for the fact that they are probably known best for their sleek, basic and classic pieces, and yet every now and then they come out with denim with unique prints and washes. Some seem to only be sold in a handful stores as limited editions like the Goetz legging, and I’m still keeping my eyes out for the gorgeous maroon version! 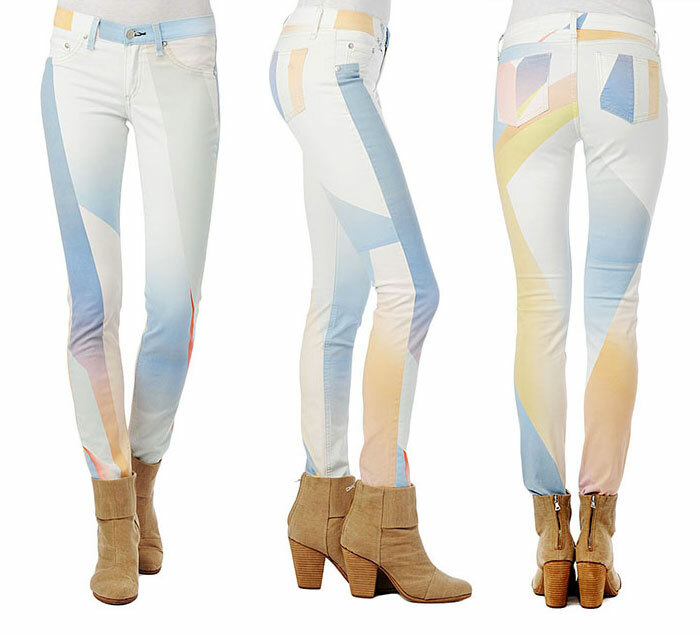 Ombre is definitely nothing new in the fashion world but it’s not all that often you see ombre jeans hit the market. I missed the mark again with Rag & Bone upon my discovery of these pretty items above that are now unfortunately sold out everywhere! I love that they didn’t just release one ombre jean, but a collection of several different colors. I found another variety that was available below, along with a black and white one that is still available! Still though, keeping my eyes on eBay…I’d love to feature these in another style post! 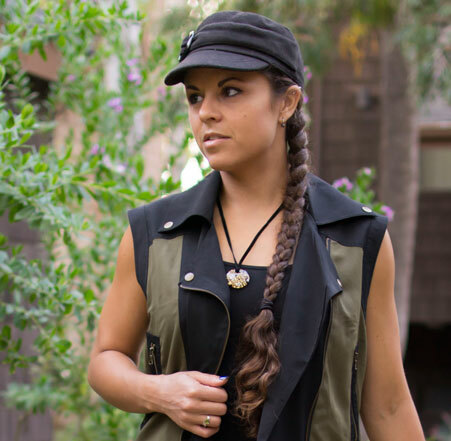 prAna is one of those brands I am always eyeing but never seem to make a purchase yet. I love SO MANY of their items, it’s ridiculous. Just two years or so ago for winter the brand released several sweaters and jackets adorned with stripes, buttons, horizontal cuts and other various details that I simply adored. I hadn’t seen them release many like that since then, until now! 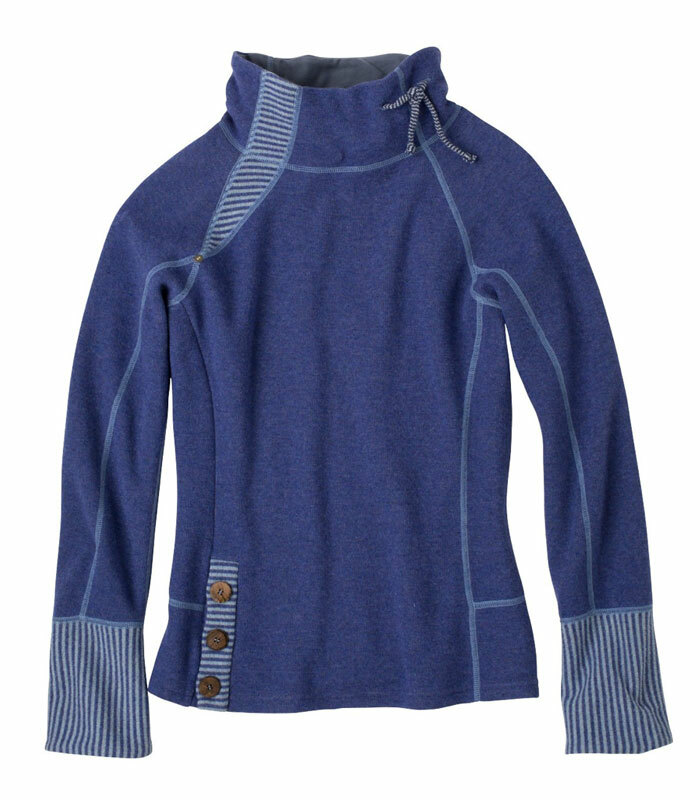 Meet the prAna Lucia sweater. How adorable is this? prAna is a 22 year old company based in Carlsbad and is known as a provider of sustainable outdoor and activewear (primarily yoga). The brand states “Our customers are fun-loving, soulful people who travel well, play hard and care about the impact they have on the world around them.” They pride themselves on using the smallest amount of toxins or chemicals as possible in their manufacturing process, and work hard for sustainability in terms of their energy and water use. prAna is partnered with Bluesign in an effort to remain within the textile industry’s top standards in avoiding processes that can cause harm to people or the environment, whenever possible. 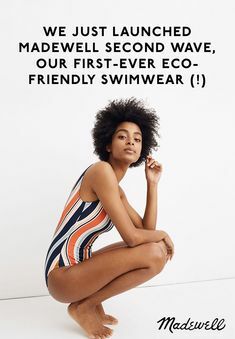 They also use organic cotton, natural fibers and recycled materials, and helped found Fair Trade Certified apparel as one of the first big company in North America to produce Fair Trade Certified apparel and accessories. Can’t get much better than that! So this is one of those random posts that I’m inspired by a just-as-random internet window shopping fest…not really focused on anything in particular other than sharing some items that have currently caught my eye! Handbags and shoes are some of the most fun items to shop for, since they each have the ability of giving an entirely different look to an outfit. How that works is beyond me, but who cares…not many of us can resist a pretty, sparkly new (and functional) bag to make our everyday lives just that much more convenient, fun, and stylish. I am a big fan of both Rebecca Minkoff and Tory Burch, due to their classic, refined, yet eye-catching styles (Throw Mark Jacobs and the clean leather Coach styles in there too…but that’s for another post!). I recently saw a blog post from PurseBlog discussing National Handbag Day at Bloomingdales on 10/10/14, and the accompanying pop-up shop. This is where I discovered the beautifully vibrant cobalt blue Tory Burch Robinson Micro Double Zip Tote, which is a Bloomingdales exclusive! 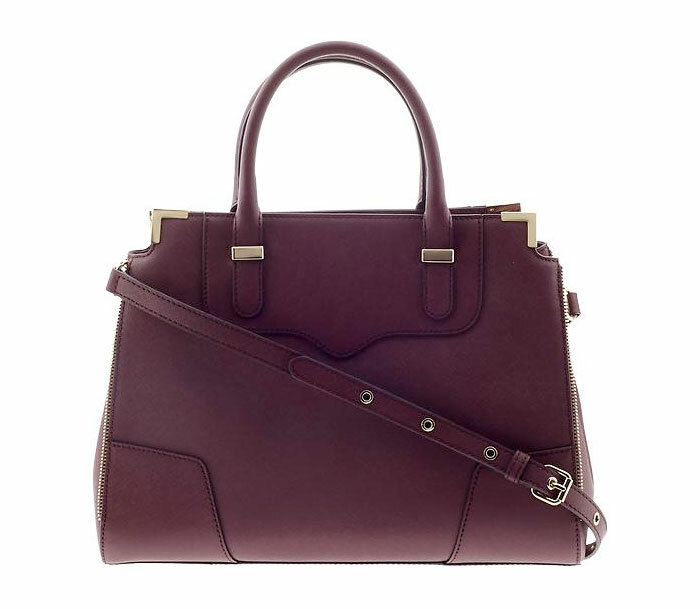 A Piperlime newsletter brought this gorgeous Rebecca Minkoff Amorous Satchel in Black Cherry to my eye. I LOVE a dark burgundy color, and it’s perfect for the Fall months upon us! New wish list item, for sure. Once I layed my eyes on these, I wished it were my hands that were receiving the treatment instead…look how beautiful these Siwy Hannah Jeans in Surf City are! Siwy is one of those brands that sells out QUICK. It’s been fairly hit or miss to me…every pair seems to fit looser in the hips and waist than they do in the legs, but a friend handed me a pair of her old Siwy Hannahs in a size 27 and the fit was actually more evened out (albeit large, since I’m a 26). I dunno, there’s been something about this brand that’s kept me hooked, waiting to get my hands on that perfect pair that I know is out there somewhere. These beauties are unfortunately almost sold out…(again, Siwy‘s popularity is ridiculous) but I’m keeping my fingers crossed! I could see wearing these with a flowy black top, or oooohhh even my black leather jacket, since I cannot stand bright colors if they aren’t balanced out with something dark and edgy. Bright on bright…ew. Too bubblegum for me. On the topic of distressed jeans of color, I got to thinking of how rarely good pairs pop up. I see colored jeans all the time, and distressed jeans all the time, but seeing a pair pop up with both attributes seems few and far between. I was turned on to the idea a few years ago when I almost bought a beautiful torn up red pair of the Citizens of Humanity Avedon jeans from Shopbop…and they were on SALE. But alas, I let them go, and to this day sort of regret it. I’ve been perusing eBay since. So, I did a quick little search for torn up, worn out colored jeans, and found a few winners. Enjoy, if that’s your thing! Cobalt blue (or royal blue, whichever you prefer)…such an eye-popping color. Blue is by far my favorite color. It’s scientifically soothing, and makes me think of places like Greece. Clothing wise, it is a pretty sought-after color, so it seems anything of quality is tough to come by in this color unless you plan to drop some serious cash…especially in the realm of handbags. In my photo above, I’m rocking my Lucky Brand Charlie skinnies I found at TJ Maxx awhile back. While such a bold color is tougher to style than my usual taste of more neutral colors, I’ll usually default to black, but this random green and black top worked just fine. American Eagle did a pretty good job segwaying me from solid to print when it comes to pants (I have 2 of their printed jeggings, and I have my eyes on one right now — use the zoom to see the pattern!). I often found most printed jeans a bit gaudy, but that’s probably because most of them had huge, flowery patterns which is a bit too girly for me. 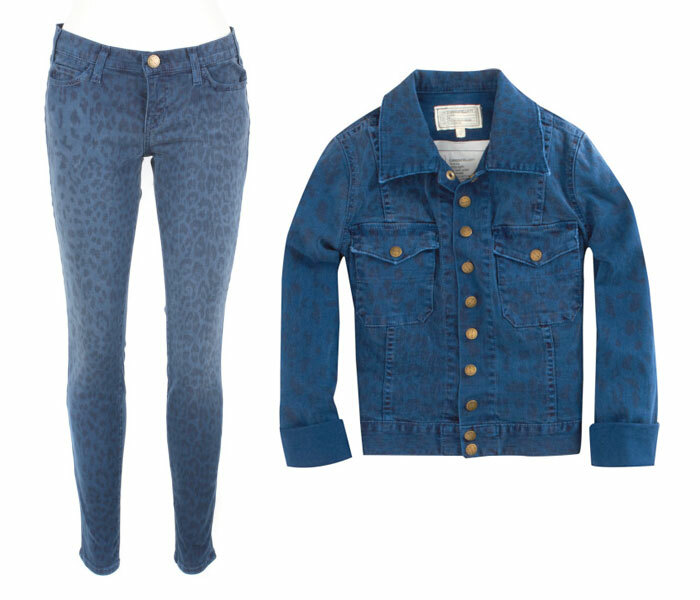 Then came Current Elliott with their Leopard skinny jeans, which I didn’t like at first…and then I fell for their blue version as well as that of the Snap Jacket (see below) which are almost impossible to find on eBay now. Then came Level99 a few weeks ago with the Janice Ultra Skinny in Moon that I blogged about earlier, and I was hooked. I liked them because they were more subtle, but the Rag & Bones aren’t very subtle…*shrugs* Anyway, I’ve grown a liking to wearing statement jeans, with something flowy and neutral up top.